The Safety Working Group would like to encourage the sharing of lessons learnt from accidents, incidents and near misses on a more regular basis. This information is normally obtained from members of the group raising issues during the meetings which often have directly affected their organisations or through discussing Safety Alerts. However, we rarely receive Safety Alerts and so often the issues we can discuss are limited to the experiences of the members of this working group which can be argued does not necessarily reflect the industry or membership as a whole. The wider construction industry seems to be much better at issuing Safety Alerts but many of these are not related to AGS member’s work and so often they are not relevant. It is the belief of the Safety Working Group that we are missing valuable ‘lessons learnt’ or an opportunity to raise awareness of current issues and we would like this to improve. This is an appeal for the AGS membership to ‘up its game’ and to start being more pro-active in the generation of Safety Alerts. The issuing of Safety Alerts is a simple system which can be used to not only raise awareness of substandard products or poor practice but also to reiterate safety messages, provide lessons learnt and provide warnings. Some companies are reluctant to issue Safety Alerts as they believe that any accident, incident or near miss will look bad on them or clients may believe their organisation has unsafe practices. This is a very negative view of Safety Alerts whereas they should be looked at as a proactive approach to accidents, incidents and near misses and a desire to improve safety. We would like to receive any Safety Alerts which have been issued to members but would also really like to receive Safety Alerts generated by our members. Please help. Hard Shoulder, Near Miss. Stay Safe! Please click the below link to see a video clip of a near miss on the hard shoulder. If you have any safety alerts you think AGS members would benefit from please forward them to the AGS Secretariat at ags@ags.org.uk. Please note Safety Alerts provided to the AGS will be shared among all members and made available on the website for visitors. The AGS has recently published a guidance document on Copyright issues arising from the use of consultants’ reports and drawings in the planning process, please click here to down for free. It is based on a report prepared by Guy Lane of solicitors BLM following his presentation to the AGS members in March 2013. 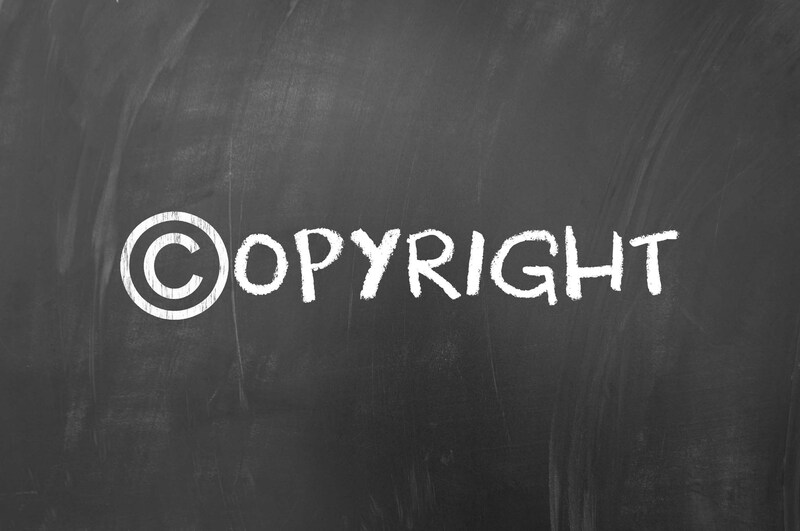 It gives a useful basic overview of the concepts of copyright protection in the UK and what works created by AGS members may be subject to copyright. A number of examples are given. The topics covered include a description of the rights which copyright gives rise to, namely economic and moral rights, and who owns those rights and for how long. Infringement of copyright is discussed, as are defences to a claim of infringement, and remedies for infringement. An important aspect of copyright law for AGS members is that regarding licences. It should not be necessary for the AGS member to give his client copyright in the member’s work as a licence should be sufficient for the client to use the member’s work for the project for it was intended. Some members might feel that this is unrealistic as their clients might expect that the copyright in the member’s work would pass to them. However, giving the client ownership of the copyright in the work may inadvertently give away ownership of valuable know-how and/or stock-in-trade which the member then might not be able to use subsequently in other projects without himself breaching the client’s copyright. The member should consider carefully before agreeing to such terms, and should discuss with the client the sufficiency of granting a licence rather than the copyright. Members must also be careful in using material other than their own in their work. For example, using some short extracts from a report by another consultant supplied by the client, but for a different project, might breach the other consultant’s copyright as it is unlikely that a licence would have been granted for its use on the current project. AGS members should be careful with the use of data from other sources, for example borehole logs, and ultimately should seek advice from their solicitors if there is any uncertainty over the intellectual property rights. The AGS Loss Prevention Working Group would like to hear of any problems, experiences, comments or views members have in relation to copyright issues. If members would like to share this information then please contact the AGS at ags@ags.org.uk. The AGS Guide to Good Practice in Writing Ground Reports has had a 2015 up-date and is now free to download, please click here. 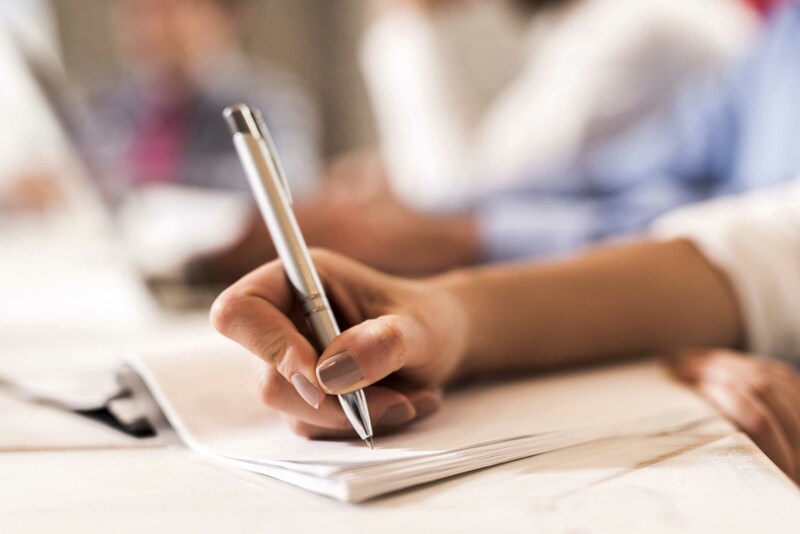 Given that a large proportion of the product that AGS members sell is in the form of written reports, it is vital that this product is fit for purpose. Not only must reports be technically correct and prepared with due care and diligence, they should also look professional and act as an advert for the quality and competence of the author(s) and the Company publishing it. The AGS guide provides advice to report authors and reviewers on report style, language and definitions. There is a considerable amount of detailed help on these issues in the appendices to the report that staff at all levels in member firms are well advised to read (and to return to). Although the technical advice in our reports may be sound and competent, the value of that advice can be seriously devalued by some simple common errors in language, formatting, spelling or grammar. These errors often disproportionately adversely affect the perceived quality of the whole report including its technical competence and the advice presented. 1. Bullet points that do not follow the sense of the introductory phrase. – A security guard with a big Alsatian. 2. Very long sentences with multiple verbs and subjects and which cannot be read without pausing for breath. 3. Sentences with no verb at all (and therefore make no sense). An investigation report dated 2012 as part of a desk study. 4. The spurious use of capital letters. A Total of fifteen Samples were analysed for a range of Determinands and Geotechnical Properties. 5. The use of vernacular or local dialect in written reports. He should of ensured samples were taken. I instructed the driller to carry out SPTs at 1m intervals innit. My unofficial record is seeing “the site” fourteen times in eight lines of text. 7. Incorrect use of apostrophes. Apostrophes are used to indicate possession or missing letters. They are not used in plurals [PAH’s] or because there probably is’ one in the sentence somewhere so with any luck you will get it in the right place. iii. Read (and enjoy) Eats, shoots & leaves (Lynne Truss). And final, please advertise the free availability of the AGS Guide to Good Practice in Writing Ground Reports to all staff in your Company. BSI recently published the first two Standards in the series BS EN ISO 17892 with a third standard to be published in the next few weeks. On the day they are published, they supersede the equivalent test methods in BS1377. This note is intended to keep you updated on progress on further Standards in the series. The note will be updated regularly. In 2004 CEN and ISO published 12 documents in the series EN ISO/TS 17892. These are Technical Specifications, not full Standards, and as such their use is not mandatory. In 2010 CEN and ISO agreed to upgrade these to full EN and ISO Standards. With CEN leading, and with active ISO participation, CEN Technical Committee 341 (currently Chaired by the UK’s John Powell, and with BSI providing the Secretariat) appointed a Working Group (WG6, with the UK’s John Masters and then Roger Brown as Convenor, and Alastair McKenzie as Technical Editor) with a mandate to re-write the 12 TS documents so that they get wide-spread acceptance world-wide. The WG has been working for several years, and has the target to complete all 12 by the end of 2017 ahead of a planned up-issue of Eurocode 7 (BS EN 1997-1 and BS EN 1997-2). The WG consists of technical experts from more than a dozen countries, who are working together to write the Standards encompassing good practice from around the World, using routinely available existing equipment. Once the WG has produced an acceptable draft, it is put into the public domain for comments in a process called “Parallel Enquiry” (parallel because CEN and ISO run it in parallel, but independently). Draft Standards are in the public domain and available for comment for several months. The WG then gets the comments back to address, either to incorporate into the draft if they agree with them, or to give reasons not to if they disagree. Once the draft is revised, it then goes back to the CEN and ISO Member countries for Final Vote. If successful, CEN and ISO translate the Standard and publish simultaneously in English, French, German and Russian. As members of CEN, the UK must adopt and publish the new Standard within 6 months of publication by CEN and ISO, and simultaneously must withdraw any existing conflicting National Standard. With the first two, BSI published them the same day as CEN and ISO. Testing can continue to the equivalent BS1377 methods, for example if a contract with a client requires it, but if so, they will need to be reported as for example “BS1377-2, Clause 3.2 – Superseded”. The list overleaf details the 12 Standards in preparation, and the current status of their progress towards publication. Note that the final choice of which test procedures will be in the EN ISO Standard for permeability has not yet been confirmed. Other test methods might be added after these 12, but no decisions have been made yet on what tests these should be. ISO (but not CEN or BS) published an incorrect version on 25/11/2015. The corrected version is due to be published 15/01/2016. Four clauses as noted above in BS1377-2:1990 have been withdrawn already. BS1377 will need substantial updating as a result of the publication of the above new Standards. However amendments to BS1377 will lag behind the publication of the replacements, so for example if you buy a copy of BS1377 today, the four withdrawn clauses will still be present. BSI is currently reviewing what will happen to BS1377 in the long run. The 12 new EN ISO Standards do not cover all tests currently in BS1377, so some of it will presumably need to remain in some form or other. The EN ISO 17892 Standards contain a number of subtle differences to BS1377. Looking at Part 1 for example, the minimum masses for the water content test are different to BS1377 (although these now become recommended rather than mandatory) and there are minor reporting differences in the water content result (now required to be reported to one decimal place between 10% and 100% water content). And you will need to remember to now call it “water content” instead of “moisture content”! UKAS are already assessing laboratories against the two new Standards for water content and bulk density. Laboratories with existing accreditation to the equivalent BS1377 method can convert their accreditation by a self-declaration, although not many have done so to date. Although the changes are subtle, labs will have to undertake a proper change-management process, including re-training of for the new methods. UKAS currently believe this self-declaration mechanism should also be applicable to the further Standards as they are published for those labs already accredited to the equivalent BS1377 methods. There appears a general consensus that working for a commercial competent supply chain and client, CDM2015 is reasonably straightforward to comply with. Although the changes are significant, good contractors perform similar duties that have kept them safe in the past. A competent client will appoint a Principal Designer (PD) and Principal Contractor (PC) in sufficient time for the ground investigation to be undertaken by a contractor using sufficient resources in accordance with the regulations. Everyone knows where they stand. In other situations, a commercial client may not fulfil their duties for making the appointments; or for providing all the information needed to safely operate the site. Contractors that do decide to take on a project in this way should recognise their additional duties (and competencies or otherwise), which can be discovered by looking at the regulations and the guidance. Some highlighted issues are presented below. The contractor must ensure they have made the client aware of their own duties (either as commercial or domestic client), but also that they are taking on the additional roles (PD/PC) which may require extra resources. This should be done as part of the tendering process/offer of service, AND include details of when these roles will cease plus other limitations. The contractor still needs to make wider arrangements to manage the site for the duration of the works by performing inductions, ensuring the site is secure, ensure suitable welfare arrangements are in place and generally comply fully with their part 4 duties under the regulations. They should also prepare a Construction Phase Plan (CPP) which will deal with how they intend to arrange the work and how they will manage foreseeable hazards both at and adjacent to the site. The CPP should also identify any additional information that the contractor needs before starting work. If the client is not able to provide that information (e.g. services location, intrusive asbestos survey, ordnance assessment, etc.) then the contractor should arrange with the client for the work to be carried out. Where the contractor carries out design work (e.g. temporary works including perimeter fencing, arranging traffic management, ground conditions assessment and alterations, excavation support, etc.) they should ensure they follow the principle of avoid the hazard or use a suitable control measure to minimise risk. Without clear arrangements to the contrary, there is danger an early stage contractor could be assumed to be responsible for following phases of works. It is therefore important that where a contractor only is appointed, they clearly limit their role. The following examples show where a contractor (PD/PC) might find unexpected resources required to comply with the regulations. It is probably the role of PD that introduces most uncertainty to the contractor because the role is generally unfamiliar to site staff. For instance, would using a borehole instead of a trial pit represent a clear-cut reduction in risk against striking a service, and is this a designer’s decision under CDM 2015? If you found this article helpful, you may find the AGS Client Guide on CDM2015 useful, to download for free please click here. They have been a long time in the making, but finally the AGS new byelaws are with us! Following a vote by members, in which the new byelaws were almost unanimously accepted, I am pleased to be able to announce that they will take effect immediately. However, we will continue with the same subscriptions format as used the last 2 years, for 2016 –requests have been issued. We anticipate that a revised subscriptions structure will be developed in the coming year to reflect the different composition of membership, in good time for the 2017 subscriptions request being issued. This should not result in increased costs for member companies, the changes in the Byelaws are intended to allow the AGS to reach more of the younger element within member organisations. I don’t intend to comment on the content of the new byelaws in this brief article. I would however direct any members wanting further information on them, to the explanatory article produced by John Talbot who has done much background work in making these a reality. Why a need for new byelaws? The AGS is a trade organisation that exists to reflect industry. In doing so, the Association has a duty to ensure that the way in which it conducts itself reflects modern practice, but also serves members to its best ability. The revised byelaws and indeed members’ structure of the AGS, reflect a belief that the association needs to engage and interact more effectively with both experienced practitioners, but perhaps more importantly, with the younger end of the profession. For too long, industry as a whole has failed to provide enough relevant and readily accessible guidance and items of interest to young geo-professionals. Available forums have often been nothing more than talking shops for more senior industry practitioners and there has been little to stimulate either recent graduates or indeed students who are studying at HEI’s. In recognising that industry needs to engage with these young geo-professionals, the AGS has deliberately restructured the membership classes so as to provide better access to the Association. Other initiatives including a new website and easier access to both guidance notes and publications are aimed at ensuring that all practitioners regardless of career status, contractor, consultant or supplier, will find items of interest within the AGS. This transformation of the Association is not complete and will continue apace through 2016. For example, the Articles of Association require changing, partially so that they are aligned with the new Byelaws, but most importantly to comply with the current Companies Act 2006. The original Articles were drawn up in 1991, based on the former Companies Acts of 1985-89, so they are now well and truly obsolete. Several working groups within the AGS have been given mandates to look at both technical document offerings and marketing of the AGS and its services. We will be seeking input from all sections of the industry, to ensure that the AGS continues to be relevant and provides a service fit for the industry in future years. The AGS has members who serve on all the major industry professional and learned bodies, including the ICE, Geological Society, Ground Forum, BGA, EGGS and the BDA to name but a few. By having such representation across the geotechnical and environmental sectors, the AGS committee is able to continue to keep abreast of all new developments and more crucially provide commentary and advice to members on matters of potential interest and, or, concern. In summary then, the AGS is changing. However this is not change for change’s sake but, as I have mentioned, rather to ensure that as a trade association, the AGS provides a service of value to its members, and crucially a service relevant to today’s needs, but able to adapt to tomorrow’s challenges. The Specialist in Land Condition (SiLC) Register Scheme was designed to support the use of the Land Condition Record (LCR), launched by the Urban Task Force in 1999 and to recognise the skills of those working in the broader land condition sector. It now provides a wider recognition of competence in the land condition field, but the LCR remains as a working tool. A registered SiLC is a senior practitioner who has a broad awareness, knowledge and understanding of land condition issues. They can provide impartial and professional advice in their field of expertise and can verify the accuracy of a completed LCR. The SiLC Register brings together professionals from a broad range of backgrounds who advise on land condition matters. To become a SiLC you must have sufficient and relevant work experience since graduation and be a member of a professional body at an appropriate level. SiLCs are also required to complete an application and pass a written assessment and peer interview. The application deadline for the next round of SiLC exams is on the 7th September 2015. The written test will take place between the 21st September and the 12th October 2015. Interviews will follow for successful candidates from the 30th November until 11th December 2015. If you are interested in becoming a SiLC please visit their website for further information including fees, introduction days, the application form and candidate guidelines. An AGS member queried whether he has any redress in circumstances where he is obliged to sign a contract with onerous terms in order to receive payment for work he has already carried out. The onerous terms might include, for example, provision of a Limit of Indemnity of £5million where the fee is only £5,000, the risk of which had not been priced into the fee agreed for the work, or long payment periods of 60 or 90 days. 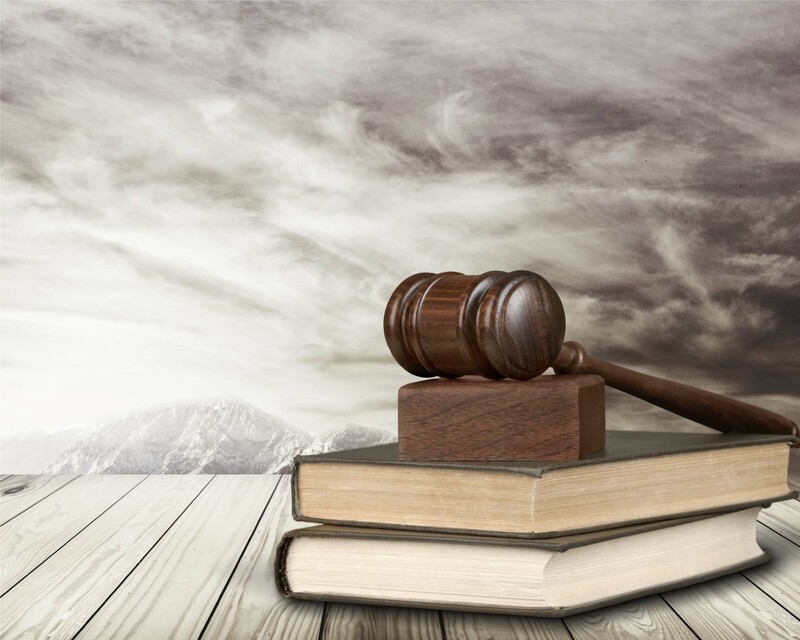 In such a situation, the member must choose between agreeing to the onerous terms or suing the client for its unpaid fees (which is often a commercially unattractive option). The member queried whether this qualified as “duress”. The practical effect of the pressure is that there is compulsion on or a lack of practical choice for, the victim. If the above ingredients are established then the victim of the duress is entitled to accept the term and later pursue a claim for undue influence in order render the contract void. The courts have held, that “illegitimate pressure must be distinguished from the rough and tumble of the pressures of normal commercial bargaining.” Cases where pressure has been considered “illegitimate” are those where the perpetrator has committed a crime, a tort or a breach of contract. Ideally, no AGS member would carry out any significant work unless and until satisfactory contract terms had been agreed in writing. However, there are many reasons why this may not happen in practice. For example, the works may be required urgently so that only the most basic terms, such as the scope of works, price and timescale, are discussed verbally beforehand. AGS members would do well to have a set of their own standard terms and conditions that can be quickly adapted and sent to their clients before commencing work, for use in such situations. Members can also refer their clients to the AGS Client Guide on Limitation of Liability Clauses, and Professional Indemnity Insurance which may assist their negotiations. Despite the publication of the British Council of Offices “Good Practice Guidance in the selection of construction materials (Ref 1) we are still seeing some contracts in which clauses prohibit the use of “deleterious materials”. Typically, these clauses will then provide a list of prohibited materials, which usually includes asbestos. This can cause particular issues when the earthworks on a site include the re-use of Made Ground (Fill). Typically analysis of this material on most sites in the UK will indicate that some samples of that material include asbestos containing materials. With an improved screening test (since about 2010) asbestos is often being detected in a proportion of samples of Made Ground at a large majority of sites. Typically the analyst reports that for samples subject to screening, whether or not any of the three main types of asbestos (amosite, chrysotile and crocidolite) are “detected” or “not detected”. Further testing to quantify the amount of asbestos in the soil sample may often then reveal that a proportion of samples where asbestos was detected, the quantity of is <0.001% (the limit of quantification). Such a material would now fail to comply with a clause that prohibits the presence of “any deleterious materials”. As long ago as 1997, the BRE (Ref 2) and the BCO (Ref 3) published advice promoting a change in the practice of including lists of excluded materials in contract documentation. Those documents encouraged a change in emphasis from the exclusion of materials to ensuring good practice in their selection. Accordingly it became more common for contract documents to refrain from including exhaustive lists of prohibited materials, instead referring to the BCO and BRE reports, such as that presented below. do not accord with the guidelines contained in the edition of the publication Good Practice in the Selection of Construction Materials (British Council for Offices (BCO)), current at the date of specification or use. Contracts which attempt to indemnify the Client from “any proper costs claims damages losses penalties fines liabilities encumbrances liens costs or expenses which might be incurred or suffered by the owner or occupier of the Premises as a result of the existence of Hazardous Materials upon about above or beneath the Premises” and then defines “Hazardous Materials” as any substance which contains asbestos. From the discussion above, this would include almost all Made Ground where some asbestos (even if only present in trace amounts) is likely to be present. Firstly, it is difficult to demonstrate conclusively that ACM in Made Ground are above or below this threshold [due to sampling/ testing issues] and to define any areas where such contamination was present would be problematic and could become contentious. Secondly (and more importantly) – this requirement is contrary to the risk based approach to remediation that is current policy and which is promoted in the Good Practice guidance. Essentially, the provision requires that if there is Made Ground with ACMs in it at > 0.1% but that this soil is at depth (say >1m) and which will then be covered by a building or car parking and therefore presents no risk to anybody or the environment, nonetheless, it would have to be excavated, screened and the ACMs removed until you could conclusively demonstrate that the ACMs in the whole mass of soil were <0.1%. On a risk based remediation, all that would be required is that a record of the presence of the ACMs buried beneath the buildings/ car park was retained (e.g. in the Verification Report and recorded in the Health and Safety file) such that if in the future someone was to excavate into this material, the potential risks could be appropriately mitigated. AGS Members are recommended to scrutinise clauses which refer to the selection / retention of materials which may be considered hazardous in particular circumstances. They should not agree to the inclusion of clauses which are contrary to the advice in the BCO document but should seek to include clauses which refer to and accord with the guidelines contained in the BCO “Good Practice in the Selection of Construction Materials” and /or include a qualifying phrase about the particular use of materials which may or may not be deleterious dependent upon specific use(s). 1. British Council for Offices. Good practice in the selection of construction materials 2011.
complete reporting of the investigation for use by others in the design chain whether by paper, pdf and digital data transfer formats. 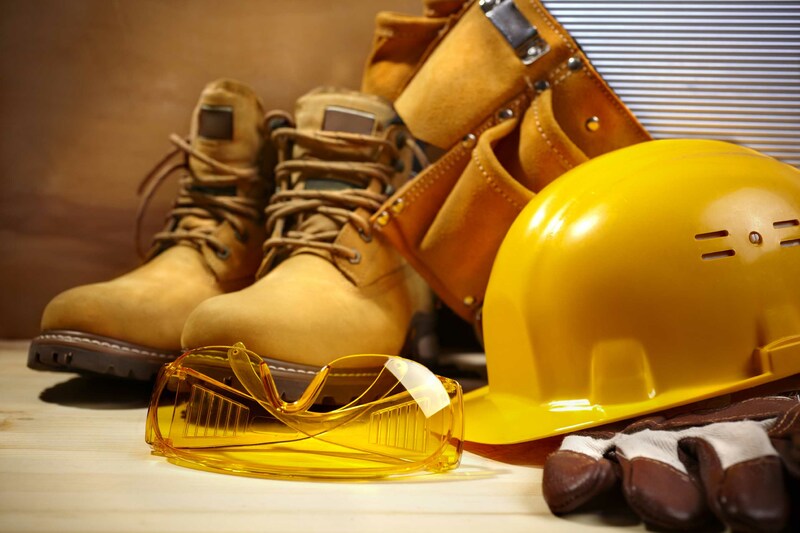 Construction Design Management (CDM) updated their regulations earlier in the year to further improve health and safety across the construction industry and manage risk accordingly. The AGS Safety Working will be issuing guidance on CDM shortly, watch this space!